I left for my most recent Mt. Whitney trip on Monday morning, August 1st. With a cup of Peets coffee, some Milano cookies, a full tank of gas and fully charged nicad batteries for my Nikon, I hit the road and headed for Yosemite and June Lake. I took this first photo just past the Tuolumne River-fed Don Pedro Lake, and I was struck by how much you can tell about a person by what he or she has on their front seat. And the first thing you can tell is that, since the seat is occupied by things rather than another human, the driver in this instance is travelling solo. Although still a bit crowded for my taste, the drive through Yosemite National Park along Tioga Road (hwy 120) was, as always a treat. 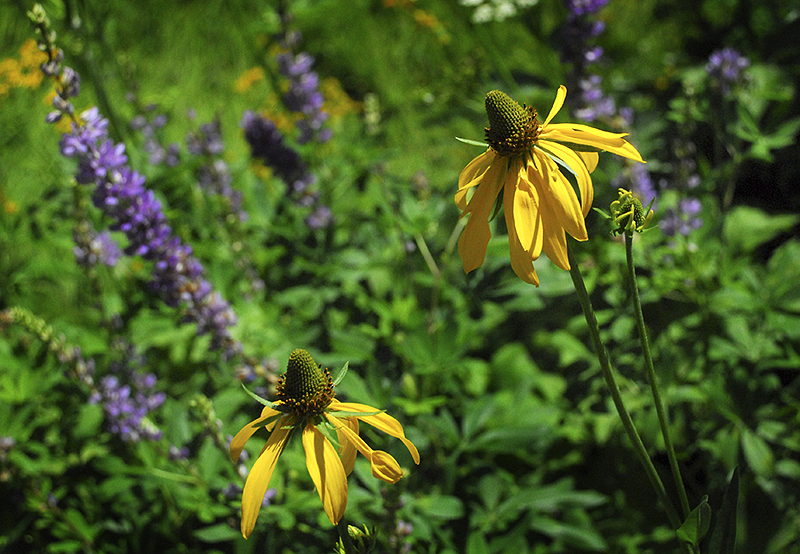 I found these wildflowers just behind the gas station near Crane Flat, which proves you can find beauty anywhere if you take the time to look. Even on a weekday, I like to avoid Yosemite Valley in the summer because of the crowds. 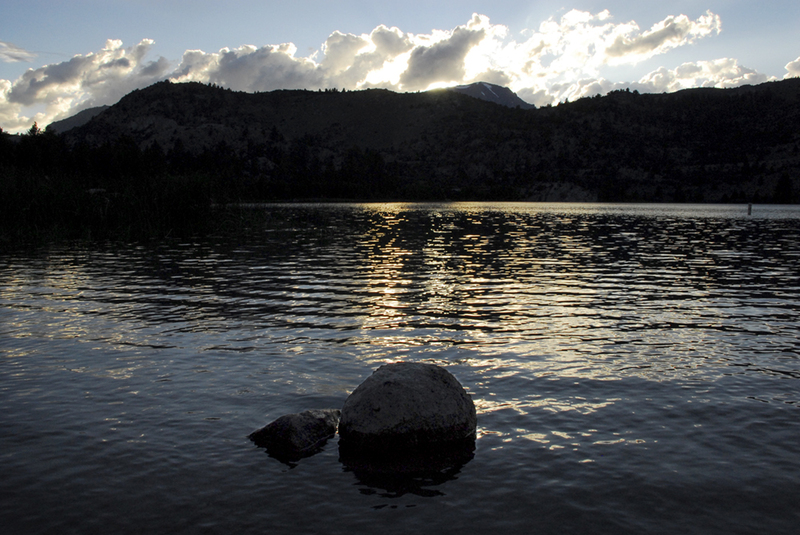 Besides, I wanted to get to June Lake (north of Mammoth) early enough to relax. 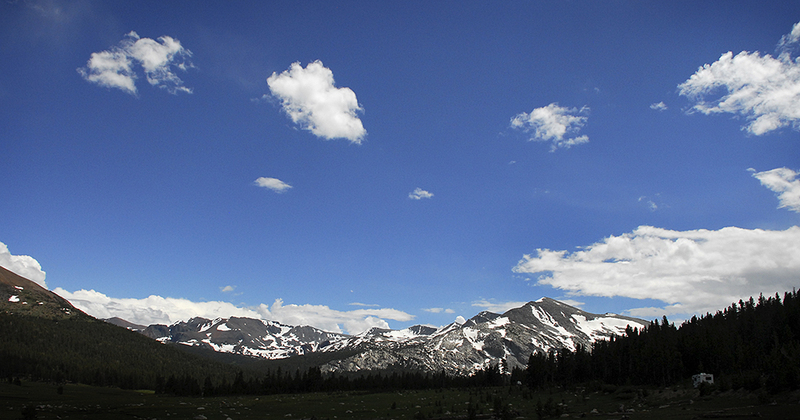 So I limited my stops through the park, especially at the crowded Olmsted Point and Tuolumne Meadows. 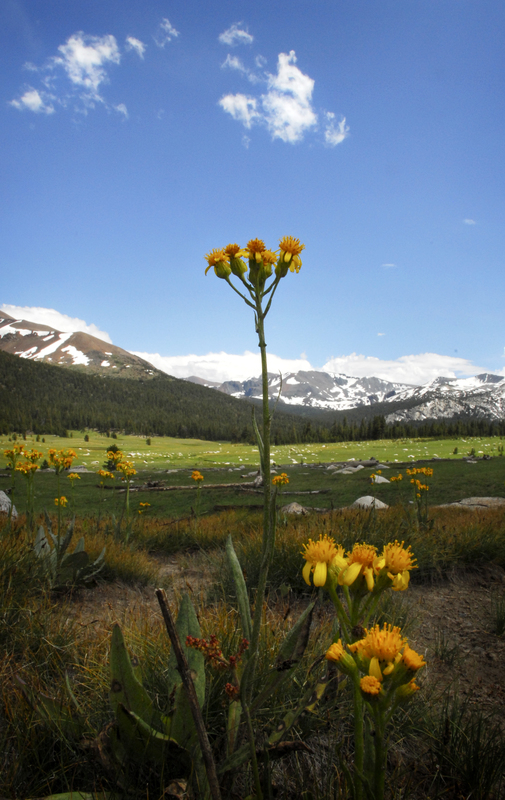 Instead I just admired the beauty as I drove past, knowing that equally scenic, less peopled places awaited me further east as I approached Tioga Pass. 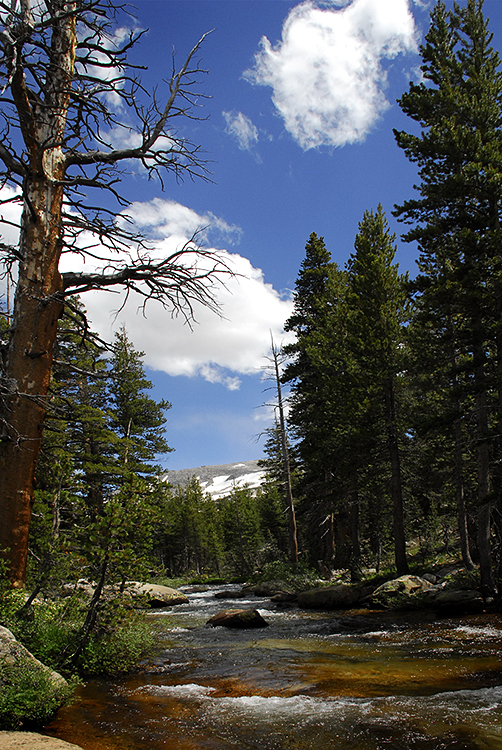 My favorites among these is the Dana Fork, a tributary of the Tuolumne River and Dana Meadows a bit further east. Yellow wildflowers were in abundance in the meadow and I stopped to take some photos before continuing toward Ellery Lake and Lee Vining. 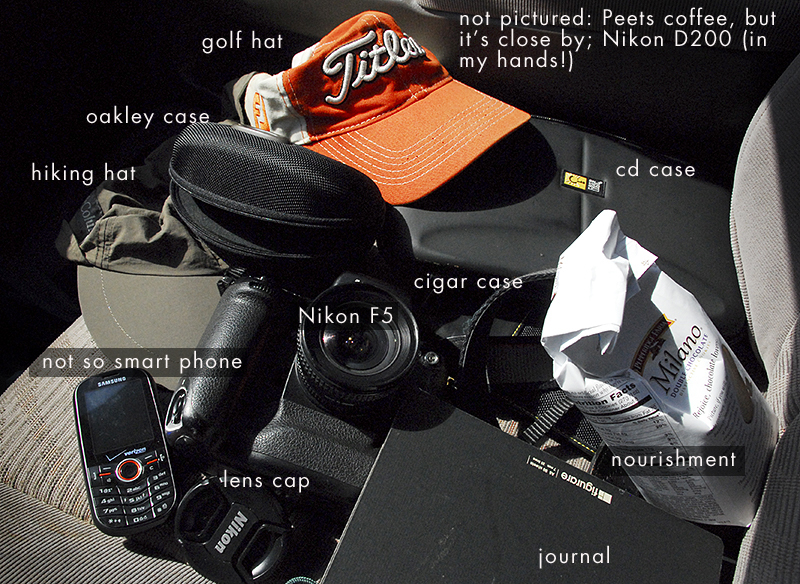 As a hiker and writer, I’ve tried to learn the names of the flora I photograph and try to describe. For years, I’ve had a toddler’s vocabulary: “Tree! Flower! Bird! Yellow! Blue! Ooh Pretty!” I’ve gotten better with the help of guidebooks and online resources, but I’m not always 100% certain I’m getting it right. I welcome any corrections by readers. 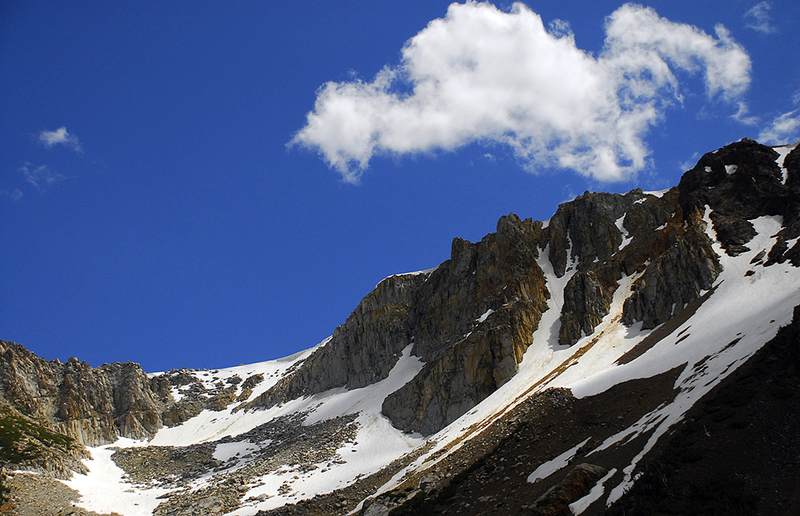 East of Tioga Pass I continue east and reach Ellery Lake. From here, it’s a descent towards Lee Vining, Mono Lake and the junction for Highway 395 where I turn south towards the town of June Lake and my campsite. Just as you can make some judgments about a person’s car seat, the same holds true for a campsite. This is the exact site I stayed in last year. Initially, I had a reservation at Silver Lake Campground, but I didn’t like the way it looked (no trees and overcrowded), so I drove to June Lake Campground and found they had some cancellations. 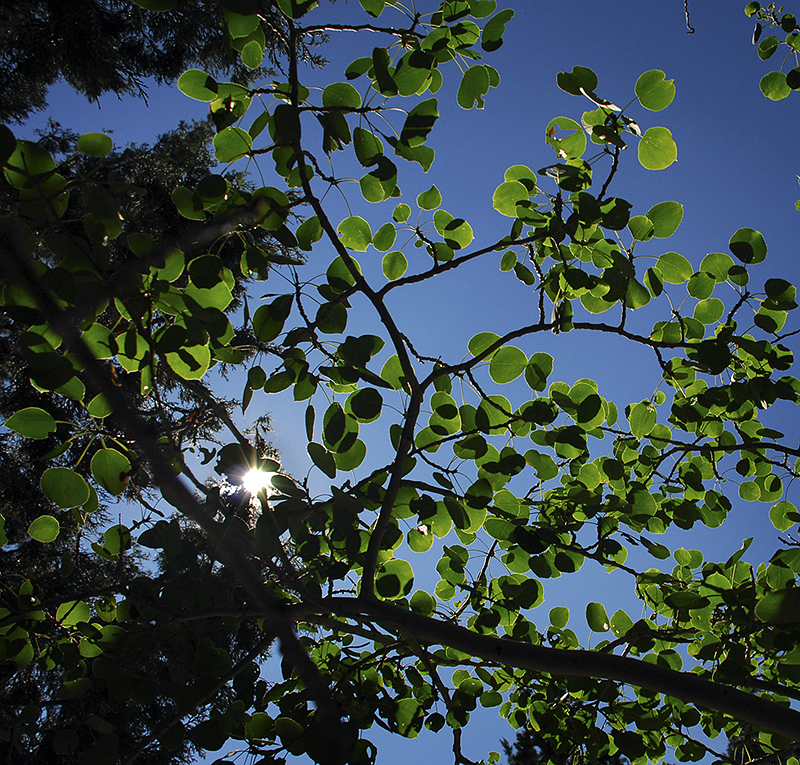 I was only too happy to spend the extra $19 for my site nestled among the aspens and pine trees. My first day in the mountains comes to a close and as the sun sets, I can look forward to a campfire, a cigar and a star-filled moonless sky. I purposely chose a week with a new moon to book my trip and to schedule my Mt. Whitney hike. Once the sky goes completely dark, the sky is breathtaking. Like most who live in or near cities, I rarely have a chance to see so many stars. I was even treated to a few shooting stars each night. Aside | This entry was posted in Mt. 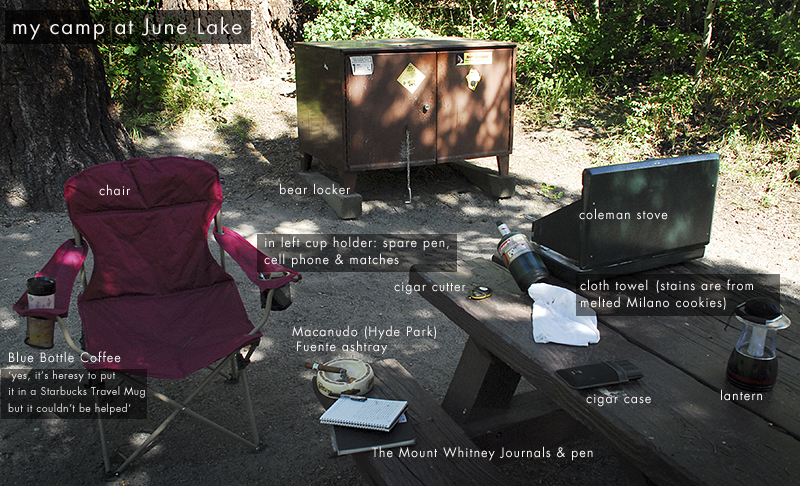 Whitney (2011) and tagged California, camping, Cigars, coffee, Dana Meadows, humor, June Lake, Mt. 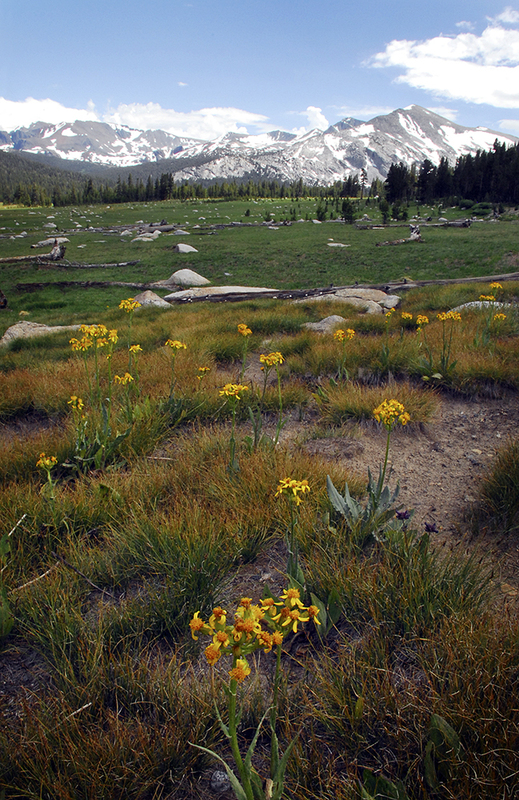 Whitney, non-fiction, photography, Sierra Nevada, stars, Wildflowers, Yosemite. Bookmark the permalink.